B U B B L E G A R M: Chunky hairbands.. 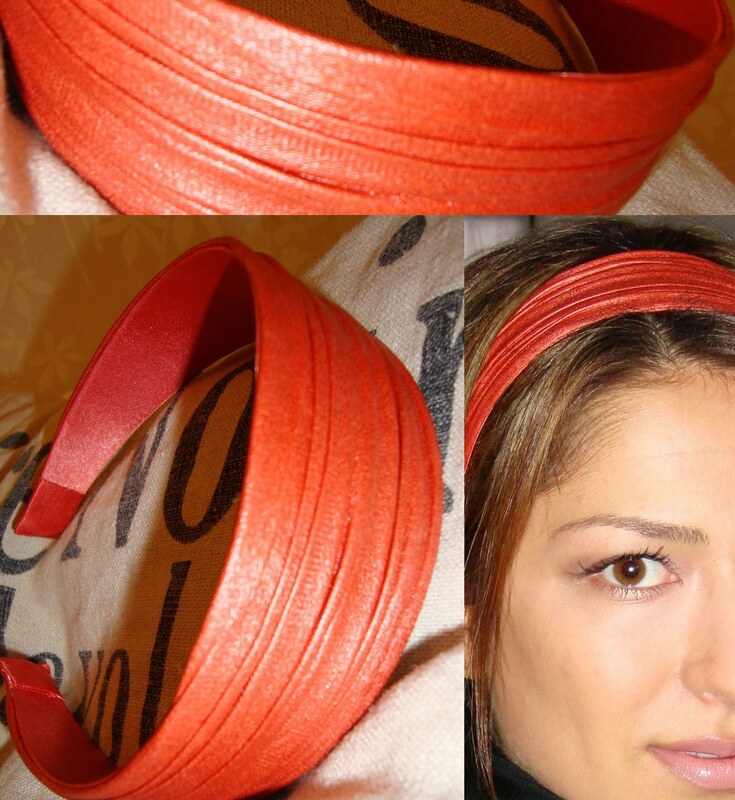 I am loving this ruched burnt orange hairband I purchased from H&M yesterday, I always check the accessories section at H&M, I sometimes find gems and sometimes leave in horror. Now I want to own a rainbow of colours, the only other colour I own similar to this style is a deep red which is quite boring. Remember, you can make your own like I did HERE using this method. I love this look but I always have an issue with them sliding out. Do you have any tips? I love chunky hairbands too. I have one that's the same size as yours but it's covered in animal print scarf with the edges hanging off so when you wear it it gives you that effortless 50s glamour look. That looks amazing on you, but I don't think I could pull off that colour in my hair! i have a whole post about hairbands, i adore them! Thanks for sharing, i hope HM has this one still, its lovely ! love the hair band & the color is phenom! warm colors really suit u so well!! Headbands are addictive!!!! I love headbands and want all the colours in the rainbow! That colour really goes nicely with your complexion, I love it! Headbands suit u soooo good Muhsine :) Love it! I wear them sometimes! It's really cute with my bang,I look like a girl in the sixties hhaha! I never wear hairbands. I dont like it. This is such a cheering colour for these grey winter days. I have so many headbands, mostly bow headbands, kind of addicted to them. Such a beautiful summery colour!